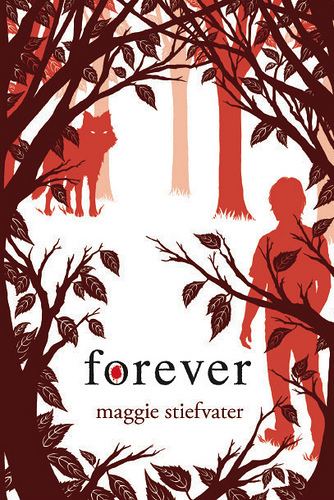 The release of Forever, the final book in the Shiver trilogy, was huge deal to me. I just love this series for its complicated and fascinating characters, and one of those is Beck, Sam's foster father and the human leader of the wolf pack. He's a pretty enigmatic guy, and if you've read Forever yet, you know that there's a lot of drama and speculation about his past and the decisions he made as Sam and Cole view the same man very differently. Is he a generally good guy who once made a grave mistake, or has Sam never truly seen the real Beck? Just who is he and how did he get where he is now? All are very important questions in this wonderful finale. Maggie Stiefvater has created a character sketch and playlist to go along with Beck, so please check it out! If you want to read my review of Forever, please click here. And as always, you can check out more awesome books at the This Is Teen page! Finally...I have a pretty cool contest here. One winner will receive an original framed sketch of Beck, done by Maggie Stiefvater! Pretty neat, huh? Just fill out the form below. Is this the last one? Oh man! Well... it was lovely while it lasted... Thanks for hosting Beck! I'll say it's amazing! Beck is such a deep, interesting character. I can't wait to read Forever! Thank you so much love interviews great giveaway!